The Prius is one of the most well-known, efficient vehicles around and has been for a number of years. In fact, it is worth noting that the Prius was the vehicle that started the hybrid revolution and made drivers even more interested in getting a fuel-efficient vehicle for their everyday lives. As gas prices rise and technology is advancing, we are seeing a number of other vehicles coming to the way of the hybrid life, which is exciting for us here at Attrell Toyota! In the last few years, there have been quite a few vehicle manufacturers coming out with their version of a hybrid, fuel-efficient vehicle, but none can match the Prius. And because the Prius is already perfected, Toyota has the time and energy to produce other vehicles that are similar in efficiency and innovation. For example, Toyota added two new Prius models in recent years, one being slightly smaller and a bit more economical than the regular Prius, and one being slightly larger with more cargo and passenger room for those families who are using it as their primary mode of transportation. Keep reading for more information about the 2015 Toyota Prius C Brampton ON! 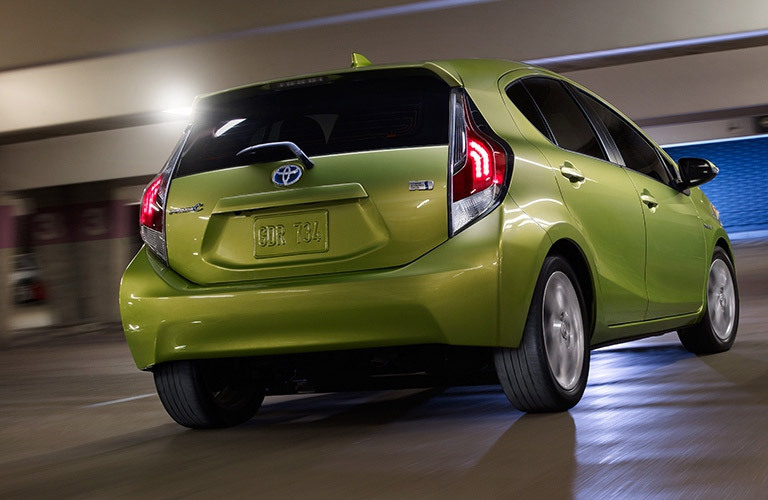 The 2015 Toyota Prius C comes in 8 different, fun colors ranging from black to lime green and even electric blue. This is just another reason that shows why the Prius C is the perfect vehicle for drivers looking for a fun adventure. Its quirky style, easy handling and fun-to-drive attitude makes it easy to see why so many drivers like the Prius C.
It is also much more stylish than prior model year Priuses, because we all know that when the model first came out, it wasn’t necessarily the most visually appealing vehicle around. However, for 2015, that has changed completely and the Prius C is a car that anyone would be proud to own. The most appealing aspect of the Prius C, at least in our opinion, is the fact that it gets up to 4.5L/100KM in the city and 5.1L/100KM on the highway. That coupled with the fact that the starting MSRP is $21,055, you’ve got yourself a great vehicle right there. Get all of the information you need on the Prius C today at Attrell Toyota! Well now that we’ve gotten the critical information out of the way, let’s talk about the fun stuff: features. 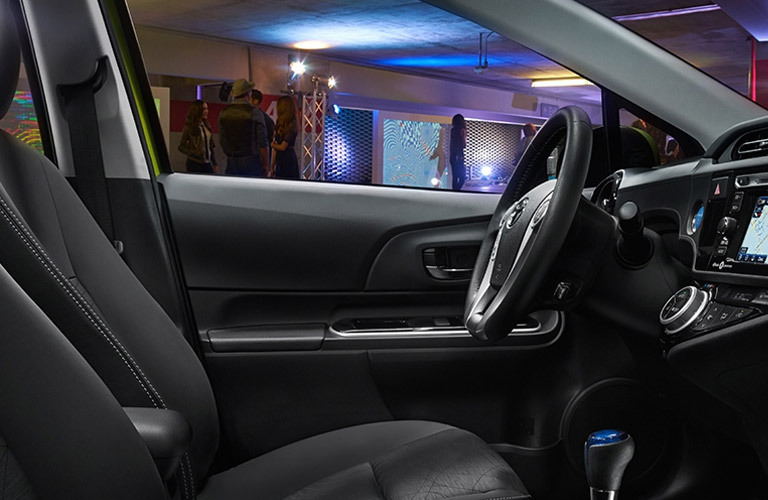 For the new model year, the Prius C is completely restyled and remodeled to be sleeker and more sophisticated than ever before. Its new LED projector low and high-beam headlights and LED foglights allow you to see and be seen more easily. The restyled taillights are sportier and sleeker than before, too. The improved interior now comes with a 6.1-inch audio display, a 3.5-inch LCD multi-information display, Bluetooth capabilities, automatic climate control and an available rearview backup camera. Other fun features included in the 2015 Toyota Prius C range from a smart key system, a power moonroof, a push-start engine, up to 484L of cargo capacity, heated seats and Toyota’s Star Safety System, which consists of an antilock brake system, brake assistance, electronic brake-force distribution, vehicle stability control, traction control and smart-stop technology. Learn more today at Attrell Toyota!